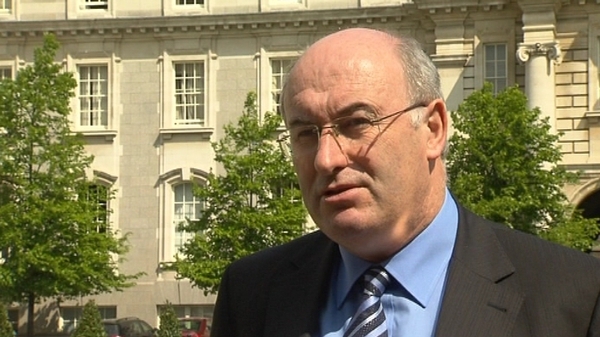 Minister for the Environment Phil Hogan has said that any attempt to discourage people from paying the new Household Charge is irresponsible. He said the Government was obliged to introduce a property tax under the terms of the EU/IMF loan agreement. A number of TDs have said they will not pay the €100 charge and they have encouraged people not to register for the charge. The Local Authority/Household Charge Bill passed all stages in the Dáil tonight, by 90 votes to 47. Socialist TD Joe Higgins has called for people not to register for the Household Charge, in order to send a message to the ''overlords'' in Europe. Deputy Higgins said Irish people are not going to accept massive cutbacks in their services and living standards in order to bail out ''a crazed market system''. He said he was alarmed to hear an RTÉ News political correspondent report that Government ministers were saying they were not getting any real feedback from constituents that this tax is an issue for them. Mr Higgins said constituents should ensure that ministers are left in ''no uncertain mind'' as to the huge opposition that exists in relation to this tax. Independent TD Mick Wallace said the Government might as well have cut the social welfare benefit because they are taking the money indirectly. ''It amounts to the same thing,'' Deputy Wallace said. Independent TD Thomas Pringle last night called on people to support a campaign not to pay the charge. Mr Pringle says he will not register for the tax, nor will he pay it, calling it "tax too far". Deputy Pringle told the Dáil that he will support those who cannot afford the charge by not registering with his local authority. In the Dáil this afternoon, Sinn Féin's Social Protection Spokesperson Aengus Ó Snodaigh TD said he will not be paying the charge. He said he will not be jumping on the bandwagon of the "don't pay campaign", but is making a personal family decision in the full knowledge that he may face fines and the tax of €2,500. Minister Hogan said he had tried to keep the household charge as low as possible at €100, or €2 per week, and he had exempted many vulnerable groups such as people in social housing and people in nursing homes. Mr Hogan said the charge was an interim measure, and the Government would be drawing up plans in 2013/2014 for a fairer property tax under which people with bigger houses would pay more than those with smaller properties. Asked on RTÉ’s Six-One News about calls for a campaign to boycott the charge, Mr Hogan said this was a normal political stunt by Deputy Higgins and others, and it was irresponsible. A spokesperson for the Department of the Environment said encouraging people not to pay the household charge is irresponsible, as those who do not pay will incur fines. Minister of State Fergus O'Dowd said the household charges will raise up to €160m on full collection, and it will have significant implications for services provided by local authorities. 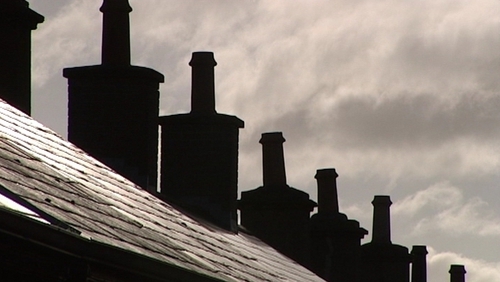 People living in local authority housing will be exempt from the charge. There will also be a waiver for residents of certain ghost housing estates, and those in receipt of mortgage income supplement. Pensioners who are not residents of local authority housing will have to pay the charge. A spokesperson for Age Action said the charge would put hardship on older people who are already struggling. The charity said the vast majority of older people own their homes, and over half of older people are dependent on the State pension. Age Action welcomed the fact that people would be able to pay the charge in instalments. However, it said if the Government was serious about protecting the most vulnerable in society it should have considered extending the waiver for the charge. The charge - which will come into effect from January - is expected to raise €160m for the Government in 2012. Meanwhile, Sinn Féin President Gerry Adams asked the Taoiseach when a Minister with responsibility for Housing would be appointed to replace Willie Penrose. Mr Adams pointed out that 5,000 people were homeless at a time when there were 300,000 empty housing units around the country. He said that many people would be poorer and colder this Christmas because of the Government's ''Scrooge-like policies''.